Prescription painkillers can be deadly when they fall into the wrong hands, doctors warn. 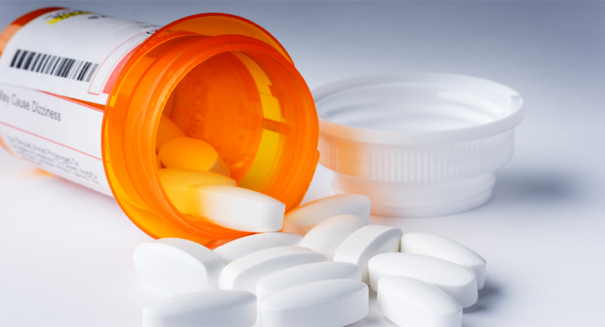 Prescription painkillers are posing a serious threat to public health in the United States. The majority of painkillers are opiate-based, which means they are produced from the seeds of the poppy plant, the same way heroin is produced. According to a report from Forbes, the misuse of prescription painkillers has resulted in an increasing number of deaths over the past few years. A new study published in the Journal of the American Medical Association reveals that even though fewer people are using prescription opioids in a recreational capacity, the number of deaths as a result of this misuse is increasing. The prevalence of opioid use disorders increased from 0.6 percent in 2003 to 0.9 percent in 2013. According to Beth Han, a doctor with the Substance Abuse and Mental Health Services Administration in Rockville, MD, it is extremely important to address the crisis of abuse of prescription opioids in a coordinated and far-reaching manner. According to Han, future medical research should aim to identify policy and medical interventions that could reduce the recreational use of these dangerous painkillers, which would ultimately lead to a reduction of mortality surrounding their use.